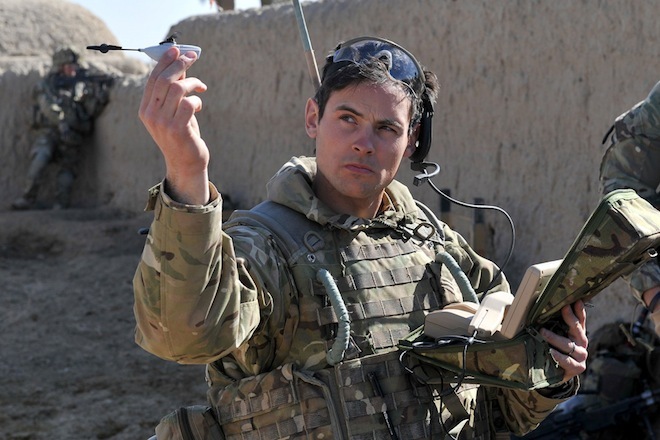 Palm-sized nano copter micro-machines are now being used to collect intelligence in Afghanistan. These devices , weighing just 16 grams and 4 inches in length with two helicopter blades, are the world’s smallest military spy drones. The Black Hornet carries a steerable camera that records both still and moving images and is otherwise unarmed. The primary use of the Black Hornet is to determine where enemies are hiding and where their weapons are situated. Soldiers are able to explore exposed areas before sending soldiers into harm’s way. A soldier downloads imagery to a personal device and a hand held mouse like device steers the helicopter. The Black Hornet and the Raven have been designed to withstand the harsh Afghanistan environment. 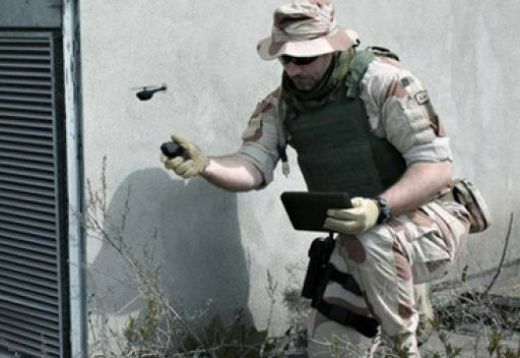 The British Ministry of Defense entered into a $4 million contract with Prox Dynamics in 2011 and the Black Hornet is an example of the recent trend toward miniaturizing drones and other military assets. The United States has its own miniature drone called the Raven and has insect sized miniature drones it calls the “Micro Aviary” under development. Miniaturized military devices such as these allow individuals or small groups of soldiers to more quickly gain intelligence than if they had to rely on the larger drones that take more time to deploy and require a team of people to operate. The Polaris DAGOR Is a Dream Come True For Members of the US Special Forces!